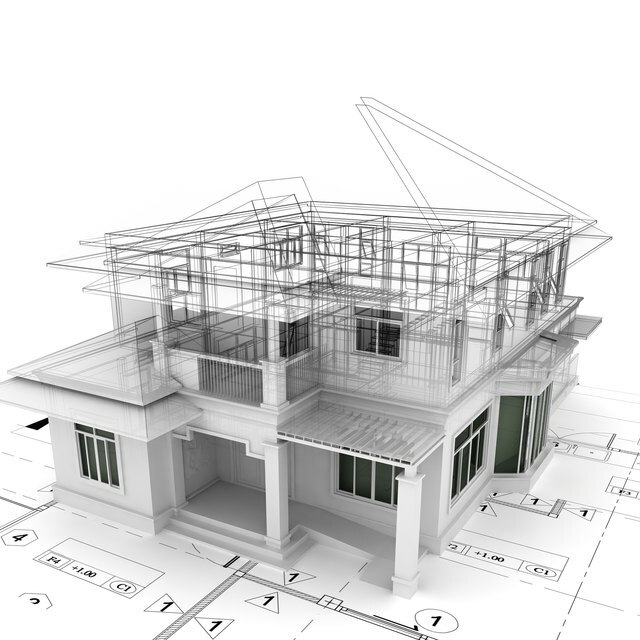 Mechanical or technical drawing have existed since mankind first began to build. Though primitive by today's standards, ancient cultures as far back as the early Egyptians had developed a method for visually communicating building or mechanical designs. Throughout all of history, man has designed and constructed monumental feats of engineering using available technology. And many, if not all, of these feats employed some form of mechanical drawing to help make them a reality. Ancient cultures once chiseled images into the faces of rocks. These are called petroglyphs and literally means 'rock inscriptions'. Ancient people would inscribe images depicting events or daily routines as a form of documentation. Images featuring buildings or monuments that were being built at the time were not uncommon. The primary problem with petroglyphs, however, was their inability to convey depth. Ancient Greek architectural drawings also lacked a sense of depth or perspective. These early drawings, though effective enough in their own time, had severe limitations, which were often compensated for by actually building structures that had improper dimensions to fool the eye. It was not until the Renaissance that mechanical drawing was able to encompass all three dimensions. According to the laws of perspective, an object that is closer will appear larger than one that is farther away. Prior to the Renaissance artists and draftsmen had not yet managed to achieve this illusion within the two dimensional picture plane. The illusion of spatial depth and the scientific understanding that came with it made technical and mechanical illustration much more effective and allowed architects to more accurately depict the structures they intended to build. The Industrial Revolution (1760-1850) was a period during which many technological advances were developed. Industrial and agricultural advancements in machinery and automated tooling emerged at an incredible rate. This created a need for even more precise mechanical drawing. designers needed to more accurately portray the working mechanical elements of increasingly complex systems of machinery. The advent of linear three point perspective improved upon the classical perspective invented during the Renaissance and allowed for tremendous advances in the technical and mechanical illustration fields. This is generally the period in which historians concede that graphic design was first invented. In the late 1800s, a new form of mechanical drawing was introduced. This was known as the 'scientific cut-away' view. This form of schematic involved presenting a two-dimensional side elevation view of an object that had been drawn as if sliced cleanly in half down the center. cut-away views allowed the entire mechanism to be shown in profile with a detailed drawing of the internal working machinery inside also being depicted. This provided engineers with a better way of visually seeing how the internal components fit into the exterior casing of a machine or object. During the mid-1900s automobile manufacturers began to develop three-dimensional cut-away views. These accomplished the same basic goal as the two-dimensional views, but with the added advantage of viewing the object in a way which more closely resembled how we actually see. In today's technology driven business environment, most mechanical drawing is done by computer. Though many industries may still rely on the occasional hand drawing, computer software is the primary medium used today. Programs which preform mechanical drawing functions include AutoCad, microstation, CorelDraw, Vector works or Adobe Illustrator. The principal benefit of these programs is that an object, once drafted in the program, can be turned and rotated on any axis with the click of a mouse. This allows a single illustration to be viewed from numerous angles. Erik Miley is a graduate of Pennsylvania College of Art & Design where he obtained a Bachelor of Fine Art. He maintains a studio at his home in Falmouth, Pa. He has had several poems, articles and art reviews appear in various local publications, including his college newspaper 'The Easel', eHow, and the Tulane Review.